ME. I AM MARIAH… THE ELUSIVE CHANTEUSE ENTERS SOUNDSCAN AT #1 R&B – HER 15th TOP 5 ALBUM! 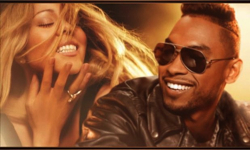 MARIAH CAREY LAUNCHES NEW SINGLE “#BEAUTIFUL” FEATURING MIGUEL!! !